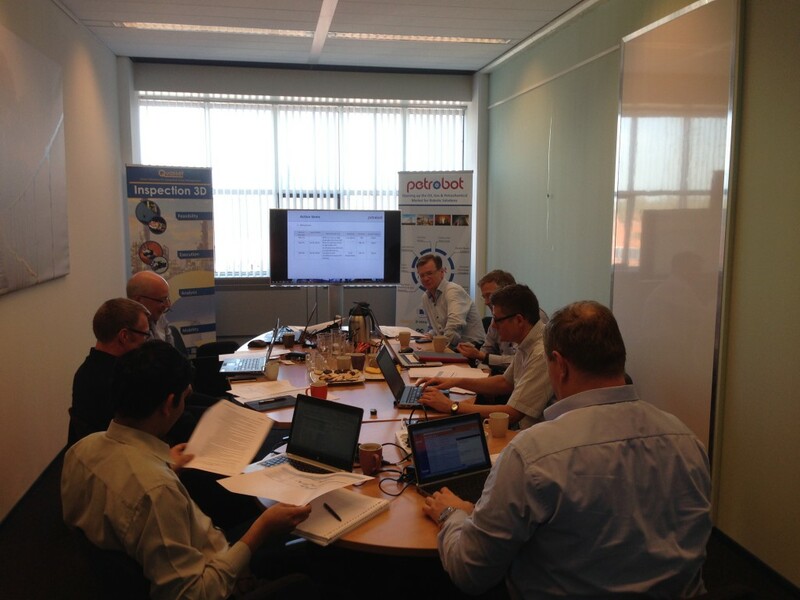 During the week of 13-17 April 2015, members of the PETROBOT consortium came together at the head offices of Quasset in Hilversum, The Netherlands, for “PETROBOT Week”. The purpose of PETROBOT Week was to share overall project progress, to discuss upcoming project activities and also to facilitate particular work package meetings. A series of intense project meetings were held throughout the week where many of the work packages met to discuss their relevant parts of the project. The week started with an Executive Board (EB) meeting on the Tuesday, followed by a Work Package 5 (WP5) meeting on the Wednesday. Two work package meetings took place on the Thursday, namely Work Package 6 (WP6) and Work Package 1 (WP1). Topics ranged from robot manufacturing statuses to business cases and dissemination activities. After the WP5 meeting on the Wednesday the PETROBOT team enjoyed a wonderful team dinner which was enjoyed by all.